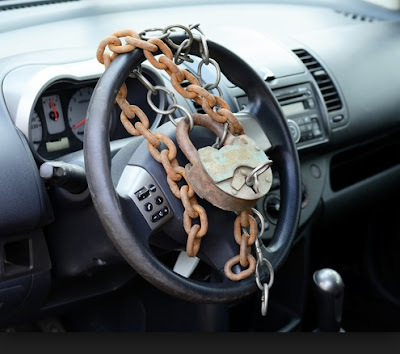 Motor vehicle thefts, which are up 20% over last year in our neighborhood, went up a little bit more Tuesday after a resident and his girlfriend had their cars stolen by a group of men. One of the cars was quickly ditched in a West Lakeview yard. The other vehicle remained missing this morning. Police were called to the area of Belmont and Greenview around 8:45 last night after a witness reported a man on foot chasing a black Audi down a nearby alley. The Audi crashed into something as it fled, then turned south on Southport, one caller said. When police arrived, they found the owner of the Audi who reported that it had been stolen. And his girlfriend’s white four-door Volkswagen had been stolen, too. Within 15 minutes, callers in other parts of the neighborhood reported seeing a white vehicle circling area alleys with its occupants getting out to look into garages. Then, at 9:15PM, a caller in the 1700 block of W. School Street reported that someone had just dumped a white Volkswagen in his backyard, then fled in a white box vehicle with a business name on its driver side door. No one is in custody and the Audi remains missing.